Stunning Lake Views! Home Allows for Easy Lake Living. Lake View from Almost Every Rm. Gorgeous Hdwds Flow Throughout the Main. Soaring Vaulted Ceiling w/Rustic Stone FP add to the Relaxed Lake Lifestyle. Any Chef will be Delighted by the Warm Shaker Style Cabinetry w/Glass Fronts, Granite Counters & Stone Floors. Beautiful Master on Main. Fantastic Bunk Rm on Upper Level is Perfect for Extra Overnight Guests. Fabulous Terrace Level w/Rec Rm, Media Area, Wet Bar, Full Bth & 3 Spacious Guest Rms. 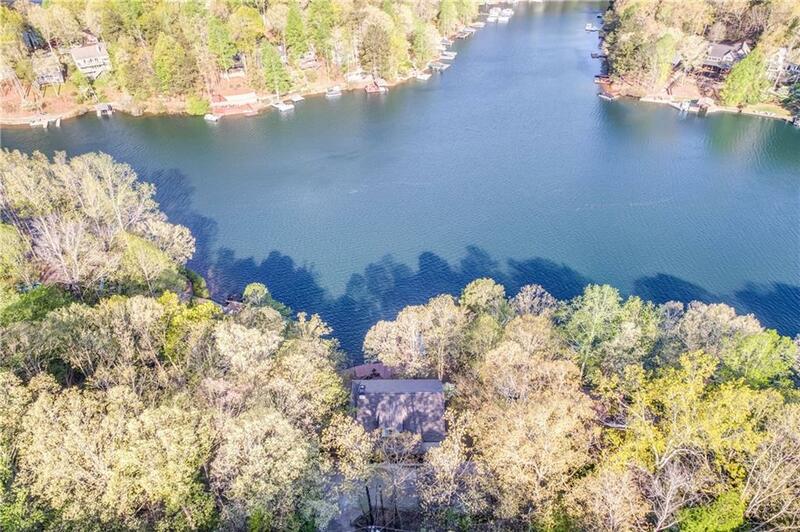 Huge Dock w/Deep Water Allows for Boating, Kayaking & Swimming. Come Enjoy! 575N to Exit 20. L on Riverstone Pkwy. R on Reinhardt Coll Pkwy. R on Hwy 140. Straight at 4Way Stop in Waleska. L on Little Refuge. R into Lake Arrowhead. Straight at Stop Sign. Continue down Hill & Around Curve. Hillside Becomes Douglas Fir. House will be on the R. Driveway is steep but easy. Located in Georgia, Lake Arrowhead real estate is a top twenty market in the state for lake homes and lake lots. The typical average list prices of Lake Arrowhead homes for sale is $351,000. On average, there are 40 lake homes for sale on Lake Arrowhead, and 90 lake lots and parcels. With 20 miles of shoreline, Lake Arrowhead is considered a mid-sized Georgia lake.